In June 2015, the ESB Powering Potential Expo changed the familiar landscape of Dublin’s Merrion Square into an inspiring landscape of future energy. 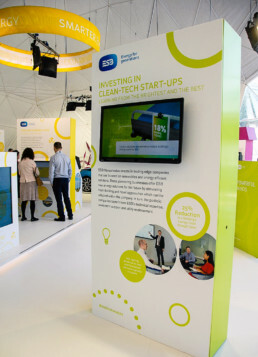 The event allowed visitors to explore a number of interactive exhibits that showcase how ESB — along with its energy partners — is developing smarter homes, brighter businesses, a smart electricity network and a low carbon energy future. 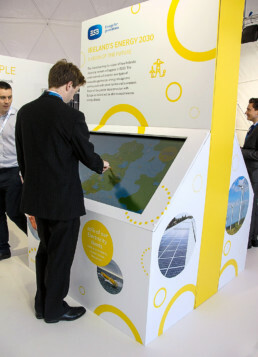 As well as creating a cohesive branding system and printed invitations for the event, we designed and developed all of the digital content, which included interactive showcases, touchscreen kiosks, digital maps and video displays.